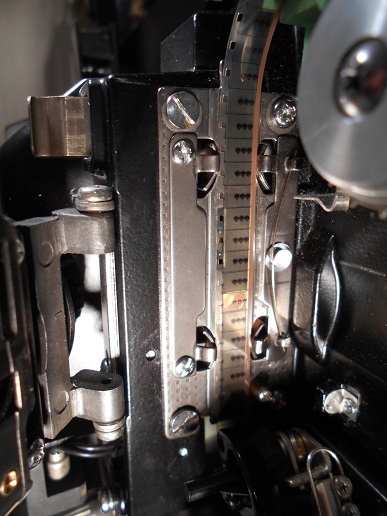 8mm Forum: Upgrade the Elmo GS 1200. » 8mm Forum » General Yak » Upgrade the Elmo GS 1200. Author Topic: Upgrade the Elmo GS 1200. The GS 1200 is a great machine. You can make it Greater by. Installing a two blade shutter, and a F1.0 zoom lens, and put on the large arms that hold 2400 ft Reels. I did this with my machine and it looks great and runs great. Hello Leon, How do the motors on the GS cope with these bigger arms, especially in the rewind mode. It certainly adds to the enjoyment of watching a complete feature, but have you noticed any long term affects. I have a set of these ready to fit, just curious as you have experience of use. How does it cope with the large reels when running a feature Leon ?, can these standard motors cope with the take up. The rewind could be done by hand but you have modified your GS to do this, and that would be how I would like the GS to do mine, but I am not close to you and sending the machine would be very expensive. Is this a board you made up yourself, and could it be fitted by myself. I would like to fit the arms to at least one my GS machines, but with out the mod it sounds like the rewind will be a problem. Leon, since you're an Elmo specialits, I try...My projector has an "out of focus" default : I can only a sharp picture on the right or in the left, I must choose. I'm aware of the little screw that is supposed to fix the problem but so far, I could only improve a little bit but not correct the trouble at 100 %. Is there anything a non professionnal could try ? Thanks. Thanks, leon ! I deleted some messages. Leon kindly sent me a pm with some advices regarding my problem. I know which little screw sets the focus but not which two other screws Leon was refering to so I posted this picture in the hope to be enlighted. AS ON YOUR PICTURE THE SCREWS ARE ON THE LENS HOLDER! TWO SCREWS TOP AND BOTTOM! LET ME KNOW. It did work ! One million thanks, Leon. I've been trying to fix that for such a long time...Now, I have a 100 % sharp picture thanks to you.